Platinum is a white-silver metal, it’s unreactive, and rare. Because of this, you can make jewellery out of it and sell it to people who wish to display how extravagantly rich they are. The majority of platinum is used in technology – in catalytic converters to sap the pollutants from car fumes, increasing the memory of computer hard drives, and improving medical devices in their ability to detect and treat illnesses. In other words, when it’s not an accessory, platinum is incredibly important to our society and our quality of life. In the North West Province of South Africa, mines snake their way through the Rustenburg platinum belt that lies beneath the red hills surrounding Marikana. The workers here earn less than £250 a month, and for many a significant portion of their salary is allocated on paying off debt. Indebtedness is prevalent throughout the mining communities of South Africa, it leaves thousands of workers and their families chained to the whims of their employer (Lonmin, Implats, Impala, Anglo American Platinum, and many others). This is a system created through and perpetuated by exploitation. Many parties have a vested interest in maintaining this status quo, and if the name “Anglo American Platinum” isn’t a signifier as to who some of those parties are then I don’t know what is. At the beginning of 2012, an estimated 100,000 mineworkers in the region went on strike and demanded a pay rise. They blocked the mines and prevented the extraction of the precious metals buried beneath the hills. During the strikes, workers repeatedly clashed with their union, National Union of Mineworkers (NUM), who many believed were complicit in the poor working conditions and low pay provided by their employers. The conflict escalated as mineworkers moved from NUM to the more militant Association of Minerals and Construction Union (AMCU) – a smaller union who their employers do not recognise. The strikes continued, and then, in the middle of August 2012 the South African Police Service took the lives of 34 workers in what is now known as the Marikana Killings. These people were murdered by their own government because they asked for the basic pay that they felt they deserved. Throughout their employment and until their tragic deaths, these people were given no respect, they were not treated like human beings. There are two stories here. The first is of an employer unwilling to provide a fair salary to their workers, and unions failing to adequately represent their members. The second story is of an international socio-economic system that has been lobbied and designed to facilitate the subjugation of workers in South Africa. Both stories end with the Marikana Killings. In response to these events, CEO Simon Scott said that they needed to “rebuild the Lonmin brand”. Meanwhile, share prices in Lonmin went up. These stories are not unique, violence pervades the African mining industry and unless we take significant action it will continue to do so. In 2017, Rainbow Rare Earths began the first African rare earth mining project in Burundi – a small nation which has banned NGOs, severely limited the right to strike, and imprisoned activists. The majority shareholder of Rainbow Rare Earths, Adonis Pourolis, is the founder of both a diamond company and an oil company. The metals being mined here, particularly Neodymium and Praseodymium, are expected to be integral in future technologies. Wind turbines, smartphones, electric cars, and even fusion reactors. In a story that tells itself again and again, Burundi will become a stage for the world to watch as nations in the northern hemisphere scramble to build a greener future that’s more inclusive and moral. That future, of course, doesn’t consider the people that built it. Colonialism is alive and well. 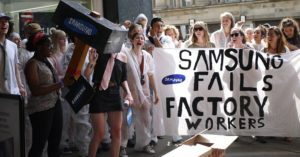 I work with the student network People & Planet on their Sweatshop Free campaign, a campaign that aims to improve the working conditions of those who assemble and make our electronics. One of the ways we do this is by encouraging public institutions to affiliate with Electronics Watch, an electronics manufacturing watchdog that empowers workers to organise within their workplace and anonymously report their employers through anonymous complaints procedure. The electronics industry is deeply reliant on the mining industry, and the ethical policy documents of electronics manufacturers will often pertain to the ethical standards of the mining companies they work with. Expanding the Sweatshop Free campaign to help mineworkers is a natural progression for the network, and one I will be proposing at People & Planet’s summer gathering, Power Shift. Furthermore, like Adonis Pourolis, the same actors at the helm of the fossil fuel industry can be found in the mining sector. 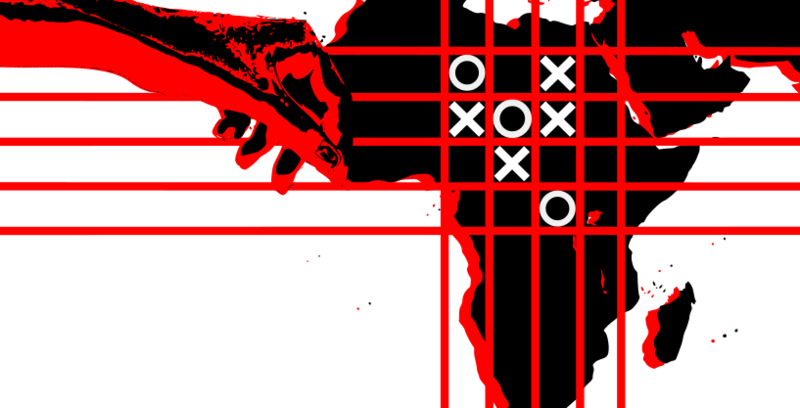 By working against them, we work against the elites that dwell at an intersection of capital, funding both neo-colonialism and climate change. We must expand our activism to combat the insidiousness that facilitates tragedies like the Marikana Killings. 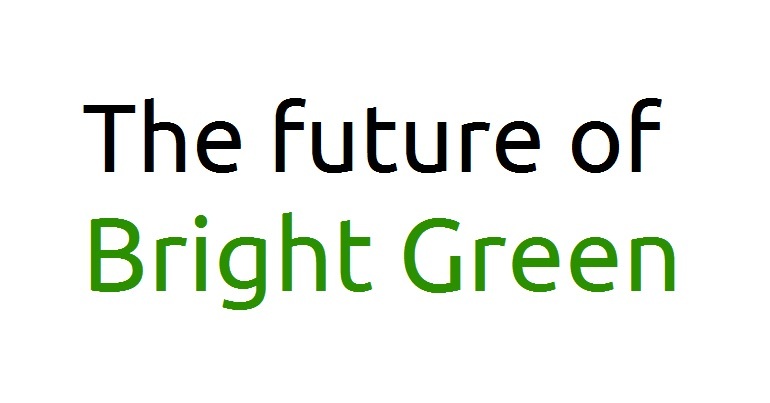 It allows those who silently invest in the most exploitative industries of the 20th century to leap at the financial opportunities provided by the green future we are fighting for. These figures lobby governments to limit regulation, they facilitate the poor working conditions of their employees, and most importantly – they simply do not care. These businessmen who have presided over the moral failures of our society’s past have no place deciding our society’s future.